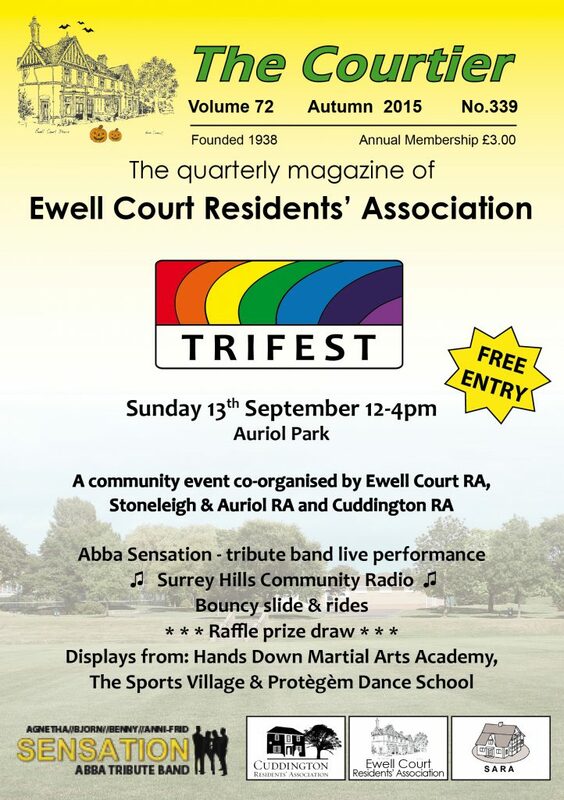 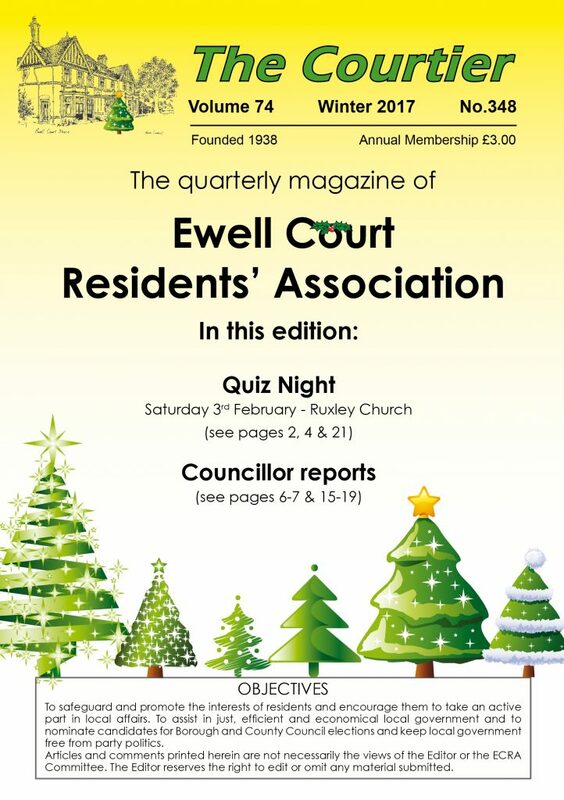 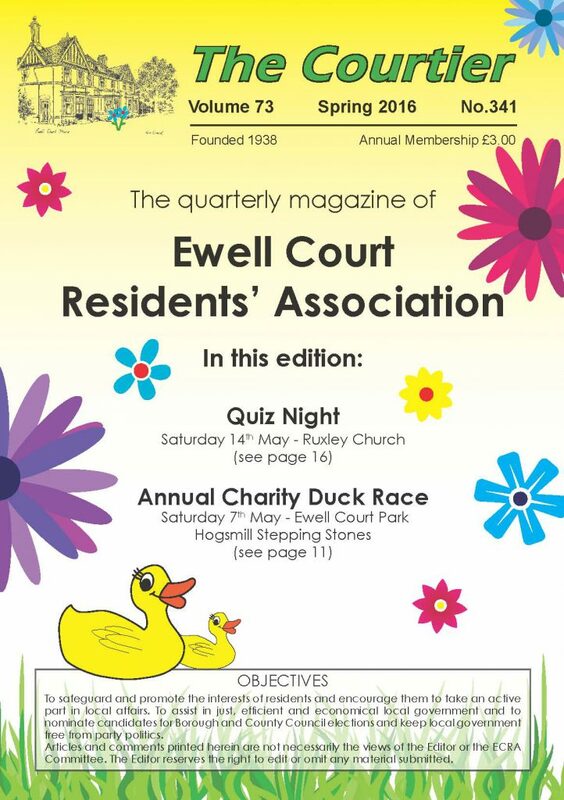 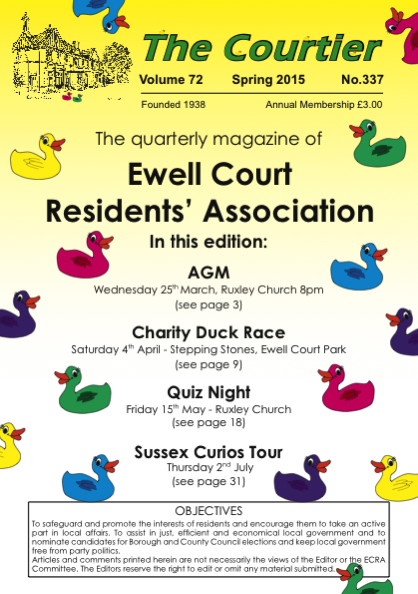 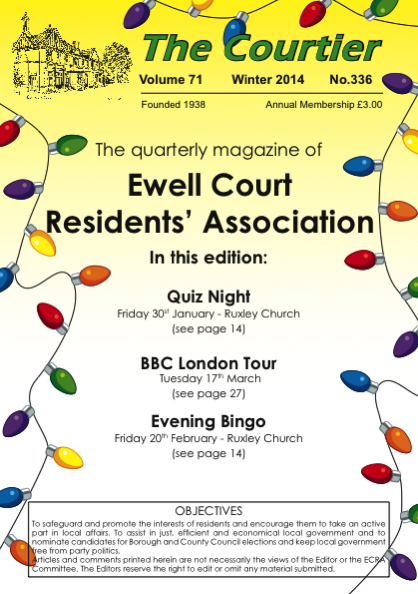 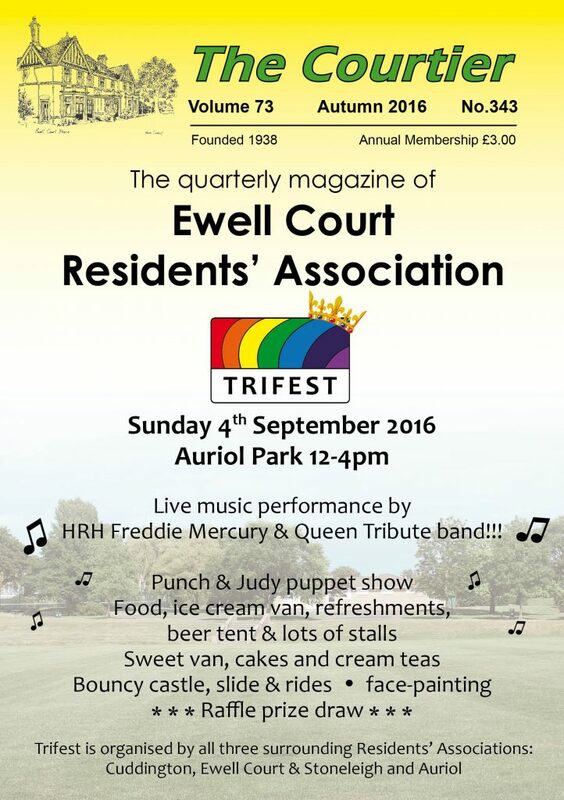 The Courtier is our regular quarterly ~48 page A5 magazine which we distribute to all our RA members. 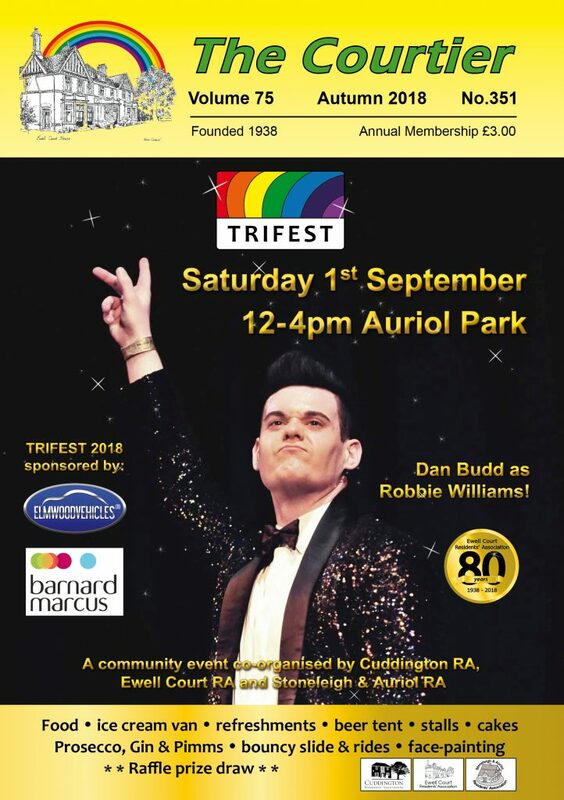 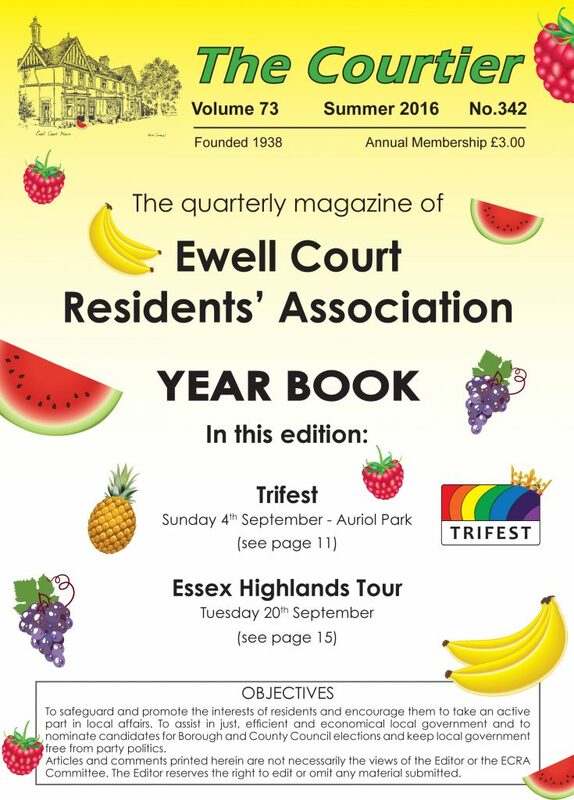 We provide lots of useful local information and regular reports from our local Councillors, information about forthcoming events and many other community based groups such as the WI. 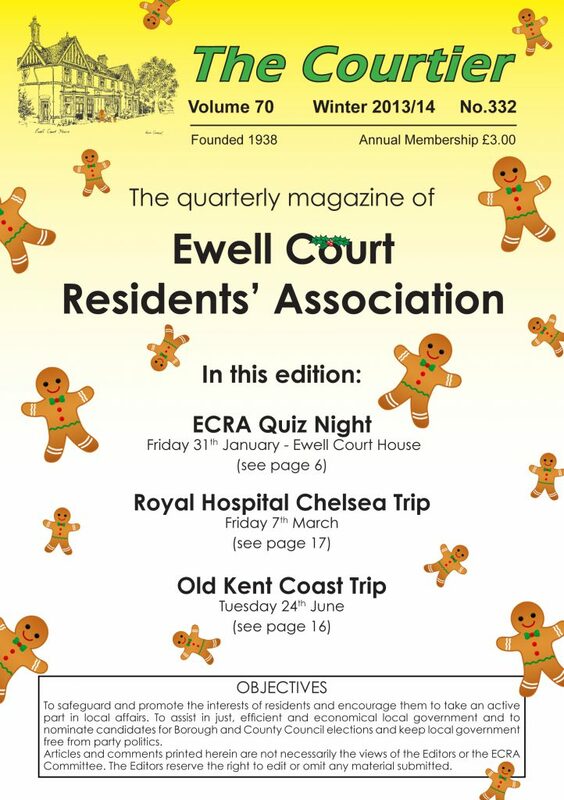 Here we have a few of our past magazine covers for you. 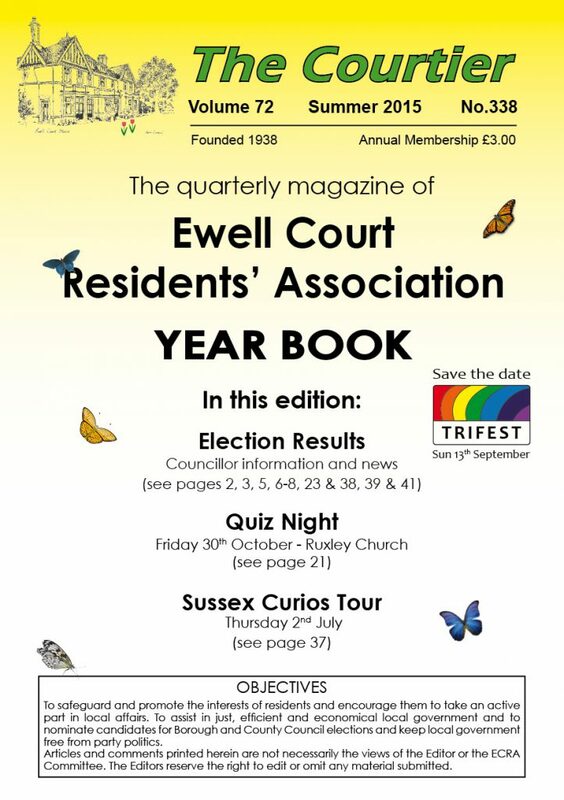 We do not have an electronic version of The Courtier to download at present. 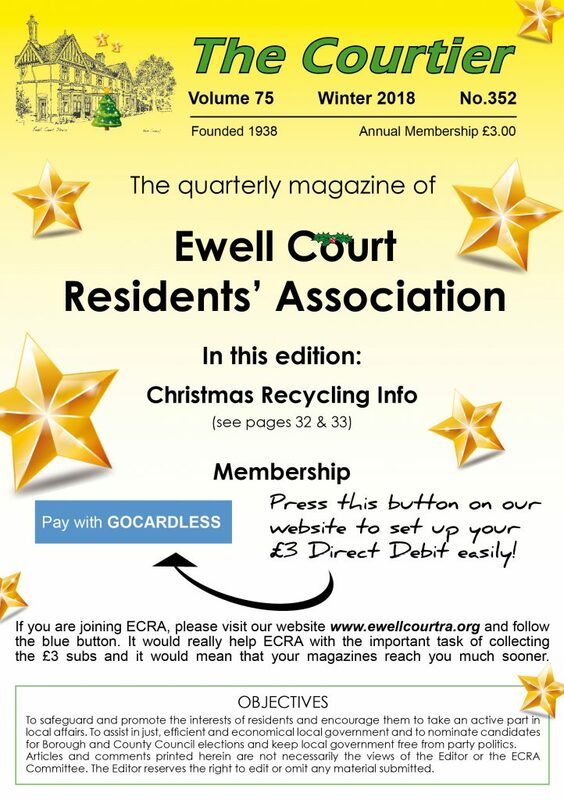 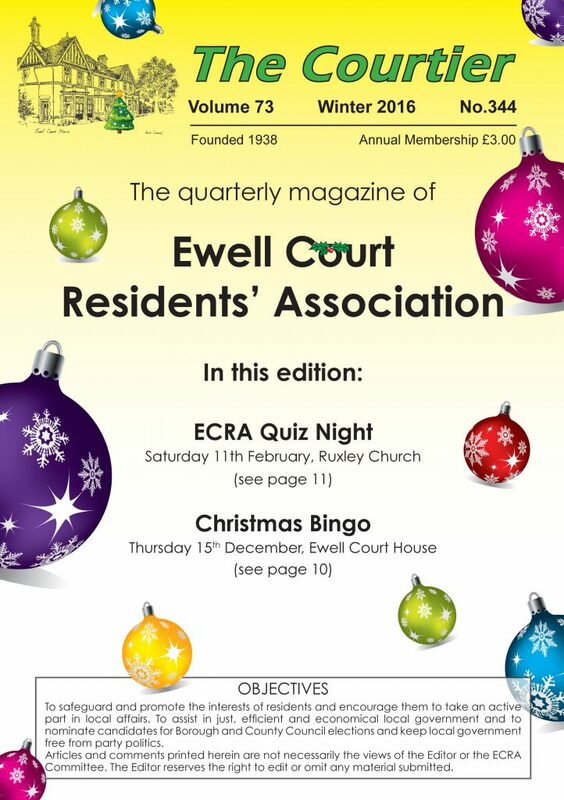 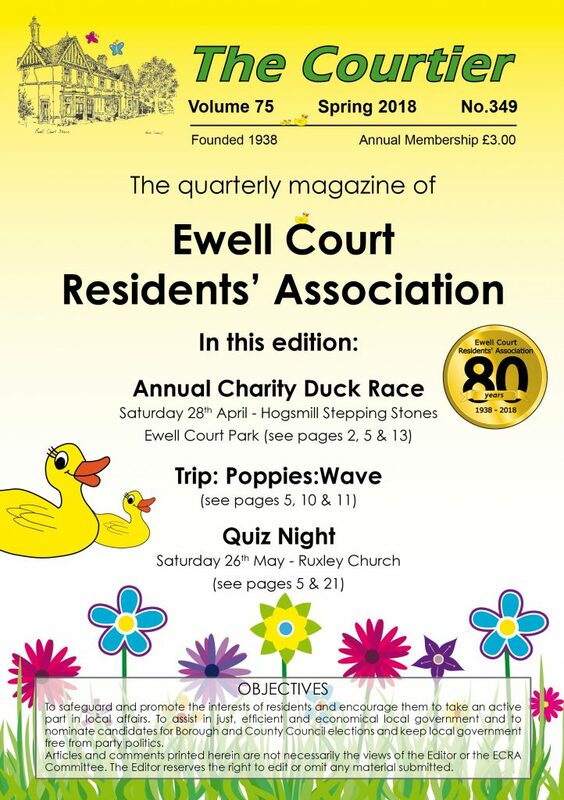 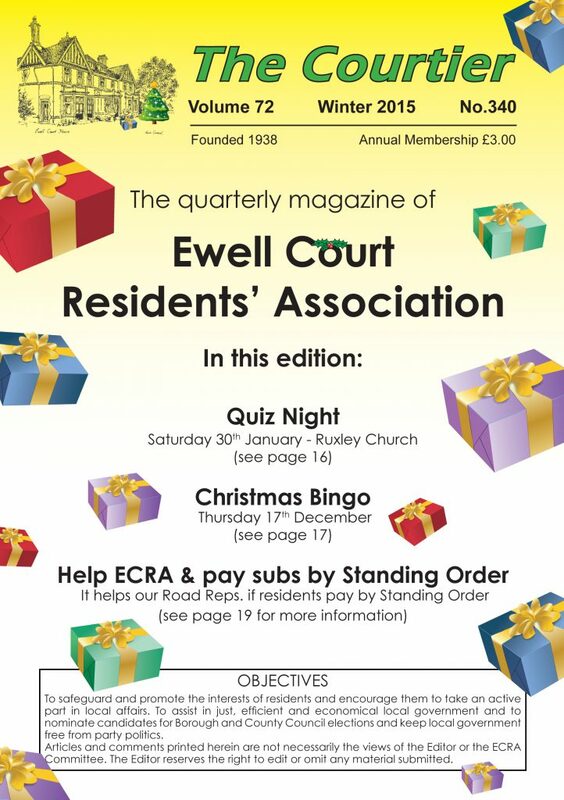 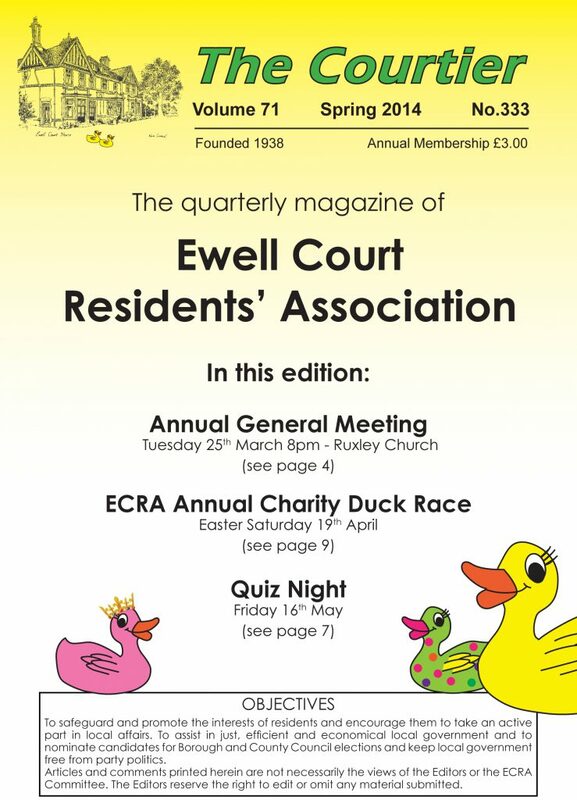 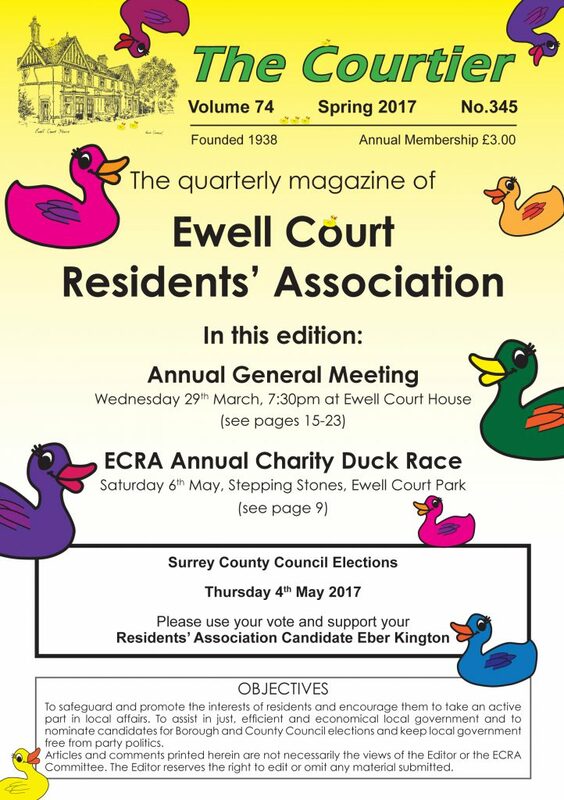 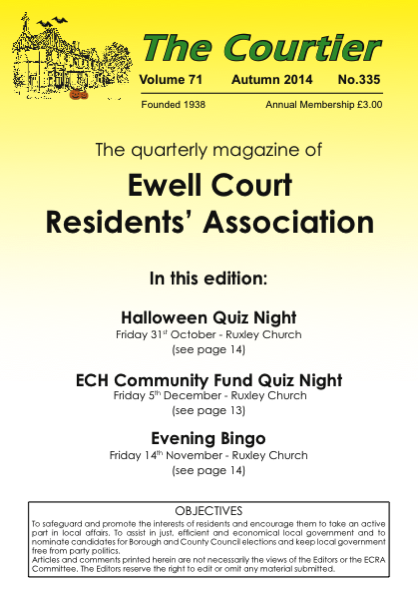 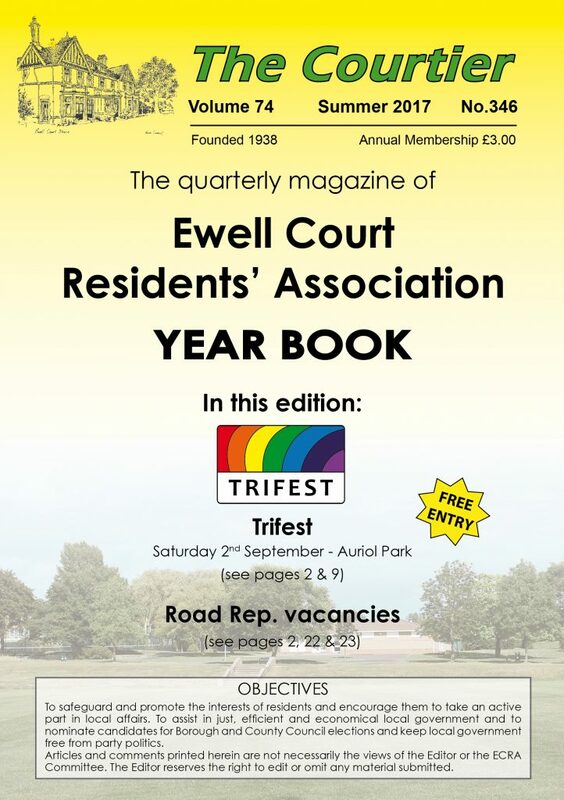 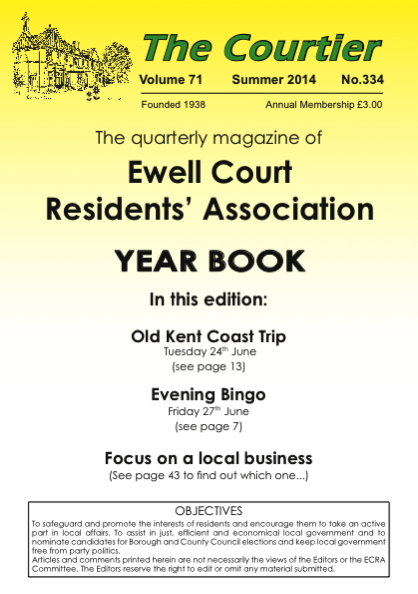 If you would like become an ECRA member and receive our magazine, please click on the ‘Join ECRA’ tab on the left menu and set up a Standing Order for £3 per year. 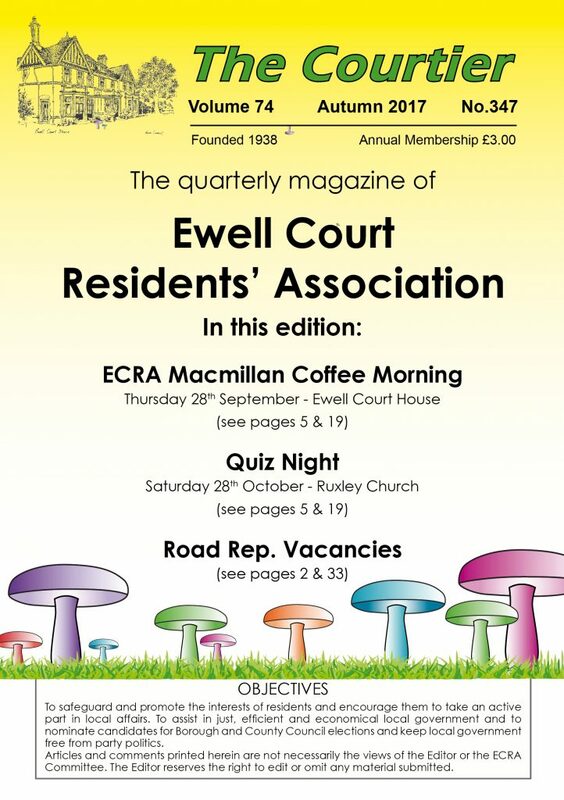 If you would like to contact the Editor or enquire about advertising in the magazine, please use the email link on the left under the menu bar.